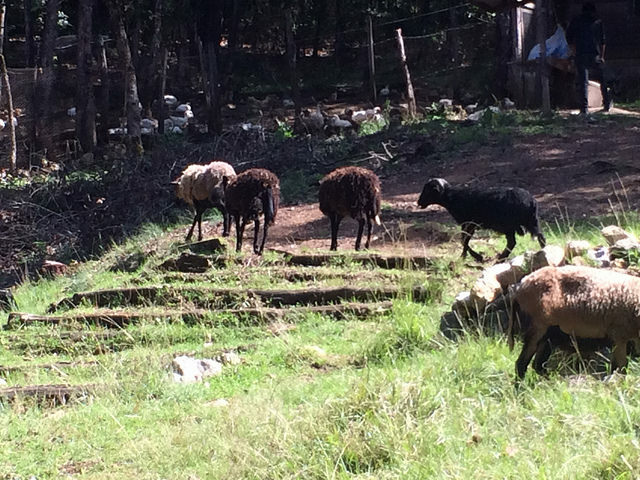 One of the most interesting projects being developed here in Chiapas, that most militant state in southern Mexico, is the Indigenous Centre of Integral Training – Universidad de la Tierra (CIDECI-UniTierra) (University of the Earth), less than an hour from downtown San Cristóbal, in Colonia Maravillas. 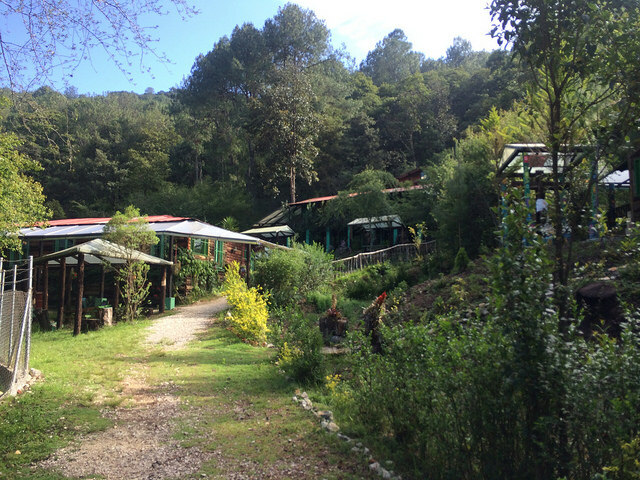 CIDECI-UniTierra is a solid example of a self-sustainable community that has maintained its vigour for over 20 years, thanks in part to the collaboration of the resident students who are trained in a great variety of trades, as well as in the arts. The youngsters are local indigenous children whose ages range from twelve to fifteen. They can choose between the different crafts that the CIDECI teachers have to offer; pottery, carpentry, ironwork, saddlery, hairdressing, bakery, mechanics, painting, music,and many others along with the knowledge shared and multiplied through everyday tasks. Here they sow and reap the herbs that feed the rabbits and hens which will later become food for all members of the Centre. Flour is also prepared and bread and tortillas are baked to supplement the food, which is of course home-grown. The furniture has been made by the students as is the case with the main buildings and decorations; even the boots and shoes that they wear; all in collaboration with the educators who actively support their pupils, not only during the learning processes but also with the tasks derived from them. We arrived at CIDECI on a cool sunny Wednesday morning. Jordan Hunt, a cheerful anarchist from the US greets me with a huge grateful hug when I ask him if I could, please take photographs during our visit. The field that houses the Centre is at the start of one of the many low ridges that surround San Cristóbal, and is easily identifiable by the huge wire fencing that sets aside the institution´s 15 hectares. The entrance is intimidating but contradictory: a tall concrete gate warns would-be intruders that penetrating these premises will not be an be an easy feat. Next to it, a heavy, prison- like iron door…but it is painted a light dainty blue. And much to our surprise, it has been left ajar. Nobody stops us as we walk in. To our right, some guys lay down their saws and hammers to glance at us from what, we later discovered , is the Centre’s carpentry workshop. 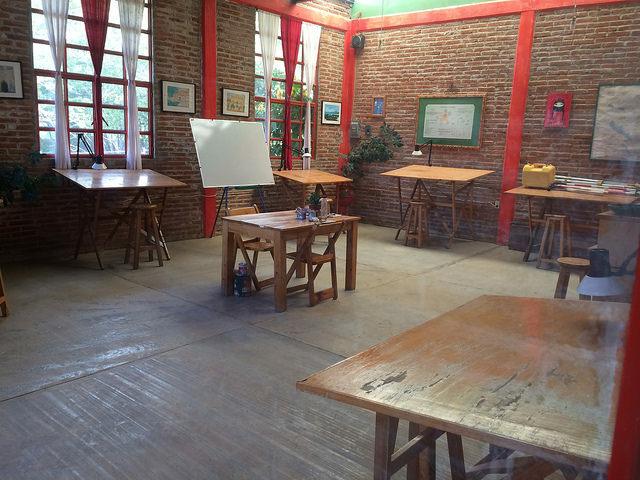 We are looking for Raymundo Sánchez Barraza, el doctor, one of the principal coordinators of this open space that smells of life, of constant self-renewal. I ask Miguel for the doctor — Miguel had approached us and introduced himself with a kindness so eloquent it seemed almost artificial. He explains that el doc will arrive in a few minutes but that we are welcome to see all the facilities if we wish. We began the exploring with Miguel as our guide. 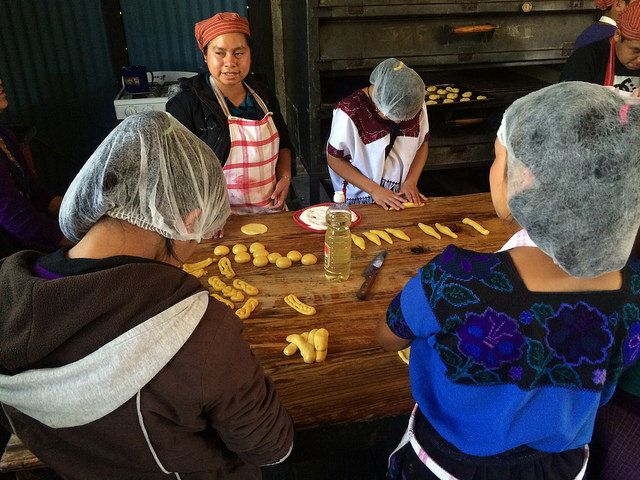 In the bakery, a group of women were making tortillas and sweet cakes. Then we saw the library with an amazingly varied selection. We passed the area allotted to the publishers and the printing press and the different rooms where the open seminars are held every Thursday; when the CIDECI welcomes visitors as it honours its second title as University of the Earth. The Centre is a daily expression of emancipation from the capitalist system, of the efficient pursuit of self-sustainability. Not surprisingly, it is is also a power plant where ideas are spread and debates are held; debates that revolve around the different theoretical tracks that advocate the freedom of the people. An example is the seminar which took place in May: “Critical Thought Against the Capitalist Hydra” (http://seminarioscideci.org/category/seminario-pensamiento-critico-frente-a-la-hidra-capitalista/), chaired by none other than Sub-Commander Moisés, new spokesman of the “Zapatista” Army for National Liberation known in Spanish as the Ejército Zapatista de Liberación Nacional (EZLN)- intimately related to the operation and protection of the CIDECI. All meetings and presentations held in the Centre are held in Spanish and in the two prevailing indeginous languages of the region. The debates that are carried out after the talks, take place after the presentations are articulated in all three languages, with the participants taking on the role of interpreters. On we went. The morning had turned into a cloudy midday and Miguel went on showing us rooms with learning options offering new possibilities for the young people fortunate enough to experience this small haven where the “Zapatista” ideal that claims “everything for everyone” is a reality for its people, the members of communities not just but from Chiapas but also from other parts of Mexico and Guatemala. Juan Francisco Uriarte is an Argentinian journalist. Since 2009 he has been in charge of the Foreign Policy section of Hoy Día Córdoba newspaper. As a columnist, Uriarte published several texts in critical gazette Deodoro; Dada Mini art magazine; chilean 60Watts online site, and the Cono Sur Le Monde Diplomatique edition, among others. After collaborating with different publishers, in 2012 Uriarte launched White Nights Books, where he was editorial director. In November 2014, after taking annual leave, he began to develop the journalistic project “Winged Words. Chronicles throughout Latin America”, check it here: www.palabrasaladas1.blogspot.com.